Rezko friend Dr. Ronald Michael, is he above the law? Remember Rezko's friend and partner Dr. Ronald Michael? At IP2P we believe he's the only person ever to file a libel lawsuit under then alias - "John Doe." Well, here's an update on the "good" doctor: He didn't file any kind of lawsuit against The MayReport.com, or against Tim Coffaro for publishing the accusations below. Company's and ask's for kick backs from certain patients. I can't confirm (from personal experience) another issue, however I understand that Dr. M receives kick back's (he calls it consulting fees) from Spine Company's in return for him purchasing their product. HIGHLY ILLEGAL STARCK LAWS. I have I friend that he asked for approx $250,000 in return for purchasing product. My friend refused. The motto with this guy is "YOU CAN'T MAKE A GOOD DEAL WITH A BAD MAN!" The mainstream media would have a field day with this guy! 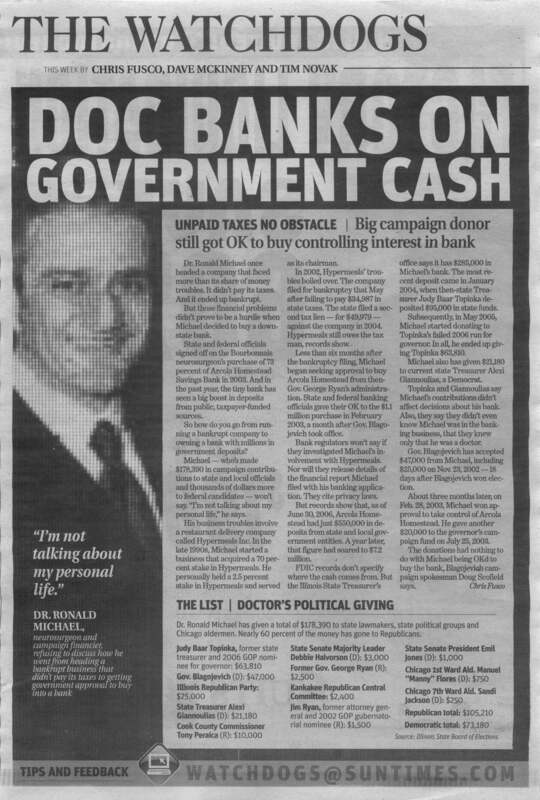 So, Dr. Michael sued the Chicago Sun Times under the alias "John Doe" for printing the factual story "Doc Banks on Government cash." But he didn't file a lawsuit against those who publicly accused him of committing crimes, that, if true, could cost him his medical license, and perhaps his freedom. What's up with that? Has Cook County State Attorney Anita Alvarez, or Illinois Attorney General Lisa Madigan, investigated these serious allegations involving Michael's practice? Or, are they merely looking the other way? Should the medical community and state regulators in Illinois take these allegations seriously? ILP2P has learned that the Cook County State Attorney's Financial Crimes Unit was not only aware of Dr. Ronald Michael before $7.2 million of government funds were deposited in Arcola Homestead Savings Bank, they were protecting Michael. As you know, the I.D.F.P.R. is in possession of proof of FRAUD regarding Dr. Ronald Michael's purchase of Arcola Homestead Savings Bank. The only question remaining is, what is your agency doing about this? Even though Dr. Michael was being protected by the State’s Attorney's office, Alvarez felt free to beat her political opponent over the head with the fact that he accepted a $10K "donation" from Dr. Michael. A Cook County state's attorney candidate says she's comfortable taking a small donation from an acknowledged target of an FBI investigation, saying he has never been charged with a crime. On the flip side, her opponent says he sees nothing wrong with taking a larger donation from a man who was a friend of convicted influence peddler Tony Rezko and who was approved by state officials for bank ownership despite once having helped run a company that went bankrupt. Welcome to the race for Cook County state's attorney. The first donation, $500 given in June by former Chicago Alderman William Singer, was made to Democrat Anita Alvarez. Singer was identified by federal authorities during the Rezko trial as a target of a federal investigation into a crooked land deal involving Stuart Levine and former Chicago Alderman Edward Vrdolyak. 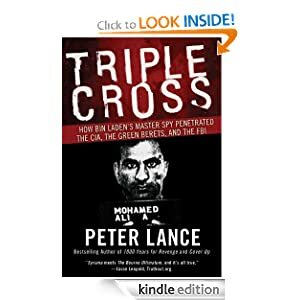 Levine wore two recording devices to try to capture Singer on tape, but somehow both recording devices failed during his conversation with Singer, testimony showed. Defense attorneys for Rezko intimated Levine did it on purpose to protect Singer, but Levine denied that on the stand. Singer has not been charged with any wrongdoing. A secretary at his office Monday said he was out of town and unavailable for comment. "I think it would be highly inappropriate to keep this money," said Alvarez' opponent, Republican Tony Peraica. But Alvarez spokeswoman Sally Daly said Alvarez does not know Singer, and in the absence of any charges thinks that an implication by Levine, an admitted liar and heavy drug user, is not enough to impugn his reputation. "Given those circumstances, we're not uncomfortable with it," said Daly, who said Alvarez will not be returning the contribution. 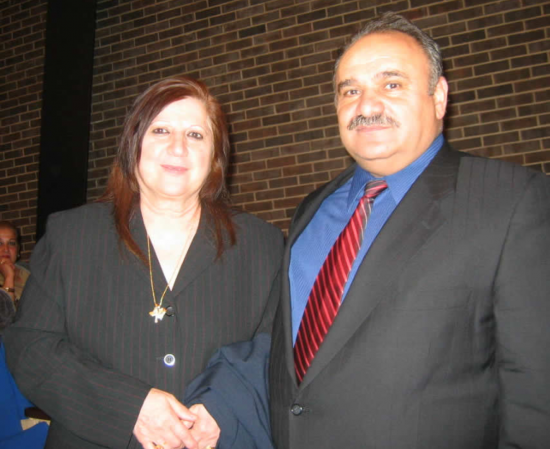 Daly, in turn, criticized Peraica's acceptance in a previous campaign of over $10,000 from Dr. Ronald Michael, a friend of Rezko who contributed heavily to Gov. Rod Blagojevich and was awarded state regulatory approval to buy a bank, even though he once helped run a company that went bankrupt. "He's [Peraica] received sizable and ongoing donations not only from people whose name came up in the Rezko trial - but people whose business practices have been scrutinized by the federal government." She was referring to another campaign donor whose company incurred Clean Air Act violations. "Was Mr. Michael ever under a federal investigation?" asked Peraica rhetorically. Federal officials have never publicly given any such indication. "If you know of some (investigation), I would certainly take a look at that (returning a donation)," Peraica said. Michael could not be reached for comment Monday. Regarding the donor with the Clean Air violations, Peraica responded that he thinks Alvarez is "getting desperate here". 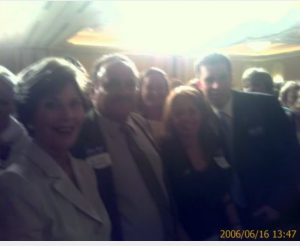 At a later date, State Attorney Anita Alvarez was so bold as to attempt to set someone up for Dr. Michael. She gave the task to her best pit bull, Mr. Robert Podlasek. 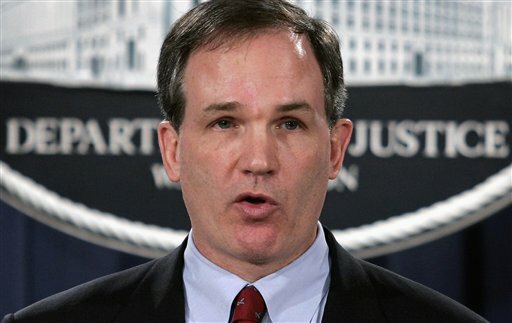 He just happens to be the very same attorney from the Financial Crimes Unit that is, to this day, still terrorizing Cook County political prisoner Annabel Melongo. Alvarez's attempt in the Michael case fell short. The intended victim was familiar with "The Chicago Way" and was able to duck, so to speak. Although, that's not to say the victim escaped unharmed. Cook County State Attorney's Office is the "Muscle" and the complicit Chicago media knows a lot more than they’re reporting. But then, what else is new? 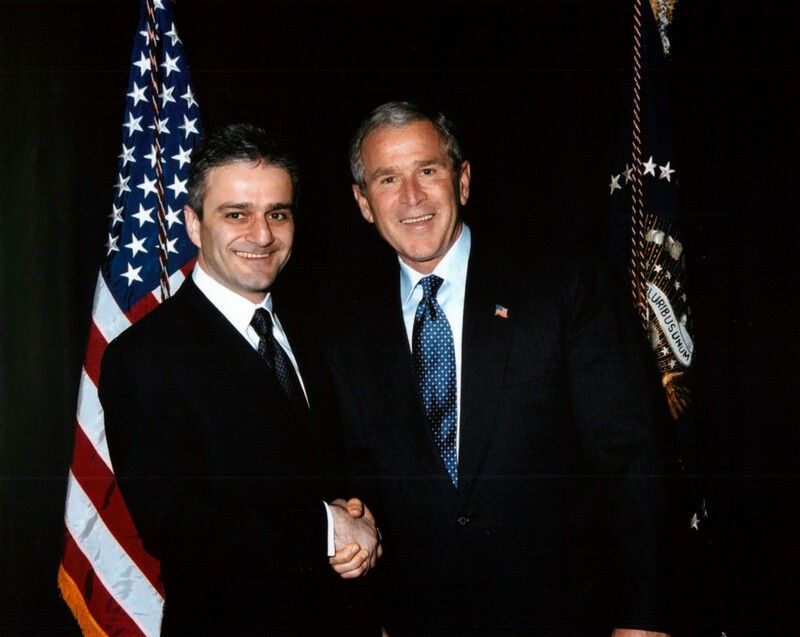 Trib reporter John Chase knows much about Dr. Ronald Michael, the mystery man pictured with George W. Bush at a fundraiser sponsored by Antoin “Tony” Rezko. 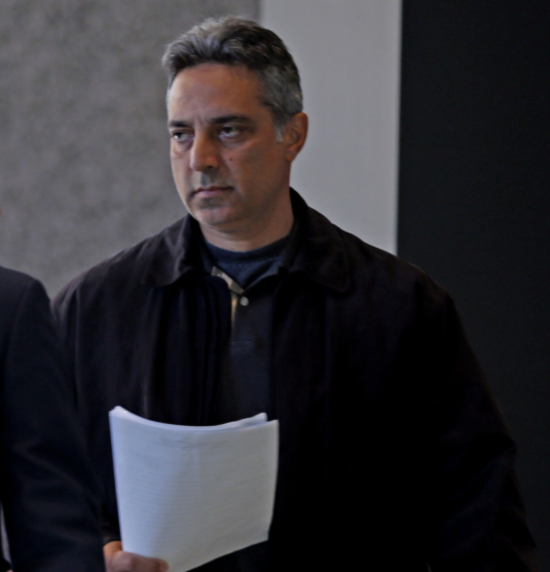 Chase told a source that Tony Rezko lived with the Michael family when he came to Chicago from Lebanon as a young man. 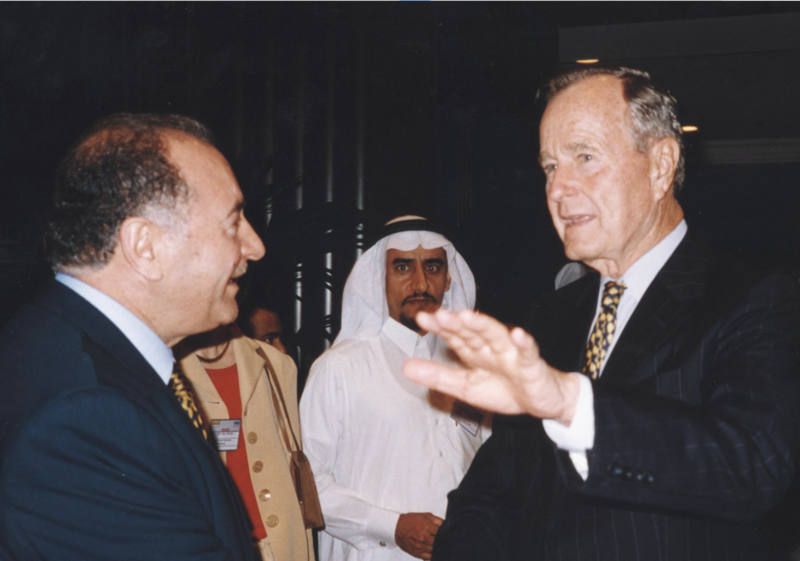 Chase said that Michael was involved with Rezko in securing reconstruction contracts in Iraq. 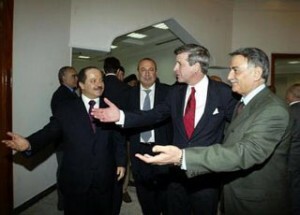 And, that Michael was trying to get Federal and Illinois state funding for a project involving property he owned in Iraq. When pressed for details, Chase would not disclose where the monies would come from, nor for what purposes they’d be granted. Chase was also the first to confirm that the “John Doe” filed lawsuit against the Sun Times was filed by Dr. Ronald Michael. Furthermore, Chase confirmed that Michael threatened to sue Chase and the Trib if he, Chase, outed him as Mr. Doe. John Chase, who has much to tell about the mystery man who, according to Chase, gave convicted felon Tony Rezko his start in Chicago, has never told Tribune readers what he knows. Oh, did we mention that Michael was on the Blagojevich $25,000 Donor Clout List? And that Michael’s name also appeared on a list of possible appointees to the Illinois Health Planning Board with the initials “TR” next to it? Michael was not appointed to the Planning Board, but his friends Dr. Fortunee Massuda, Dr. Michel Malek, and Dr. Imad Almanaseer were. Why would someone who purports to be a "journalist and author" leave out such relevant, interesting and important information from his articles and book? John, you saving the good stuff for a screenplay, or what? Meanwhile, the Valarie Plame story is falling apart. 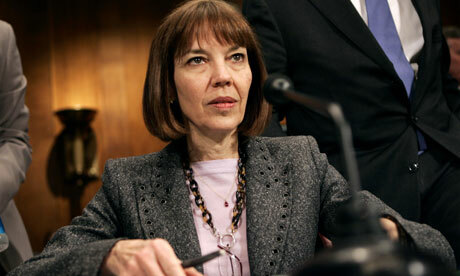 Who will have the most interesting story there - once-jailed New York Times journalist Judith Miller, or John Chase?